Last week I was having drinks with coworkers (prior to seeing this movie, yeah!) and we, naturally, started talking about our favorite cocktails and what we make at home. A coworker’s fiancee mentioned that she’d like to figure out what she needs for a basic home bar, but didn’t know where to start. She mentioned that rye is her favorite spirit, and it immediately got me thinking about how I’d build a basic home bar, centered around rye, that would allow you to throw together a few basic but solid cocktails without too much fuss. Most people like to have a decent home bar and a few tricks up their sleeves for when they want to impress company, but few people want to spend much time or effort figuring out what to buy to set up their home bar. Comprehensive laundry lists of spirits and mixers for a “well-stocked” home bar usually aren’t that helpful either, because you inevitably end up purchasing things you don’t like and never use or, worse, you have a lot of booze but no idea how to make anything out of it. I’ve always thought that a few signature cocktails will take you far in life, even better if many of the ingredients can be used for more than one drink. Rye whiskey is an American whiskey that’s made with at least 51% rye in the mash. A sibling of bourbon, rye tends to be a bit spicier, fruitier, and dryer than corn-based bourbon. Rye is the whiskey of the north, while bourbon is the spirit of the south. 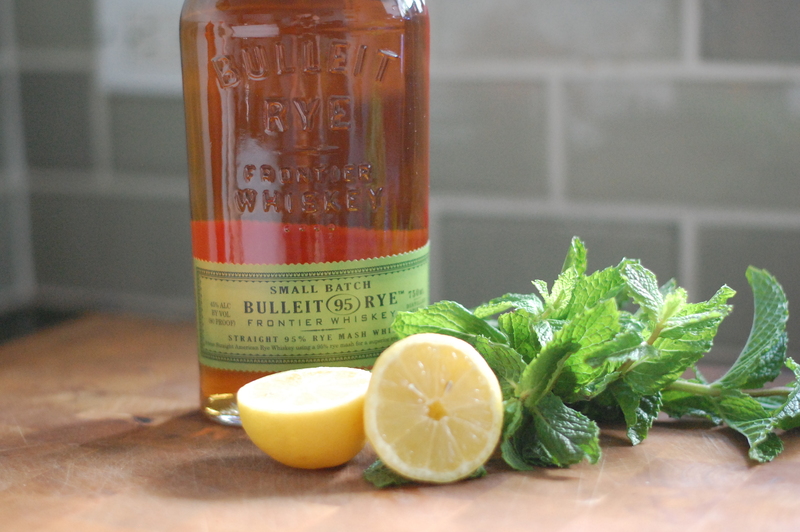 A few good rye brands I like are Old Overholt Rye Whiskey, Rittenhouse Bonded Rye, and Bulleit Rye. … a Whiskey Smash! This is just rye + simple syrup* + lemon + mint. Muddle about 6-7 mint leaves with about half a lemon and 3/4 oz simple syrup. Add 2 oz of rye and shake it all up with some ice. This drink is fabulous strained over a lot of crushed ice. …an Old Fashioned! An Old Fashioned is just rye + sugar cube + Angostura Bitters. Soak a sugar cube in the bottom of a glass with three dashes bitters, give it a little crush, then add a big ice cube and 2 oz of rye and stir. 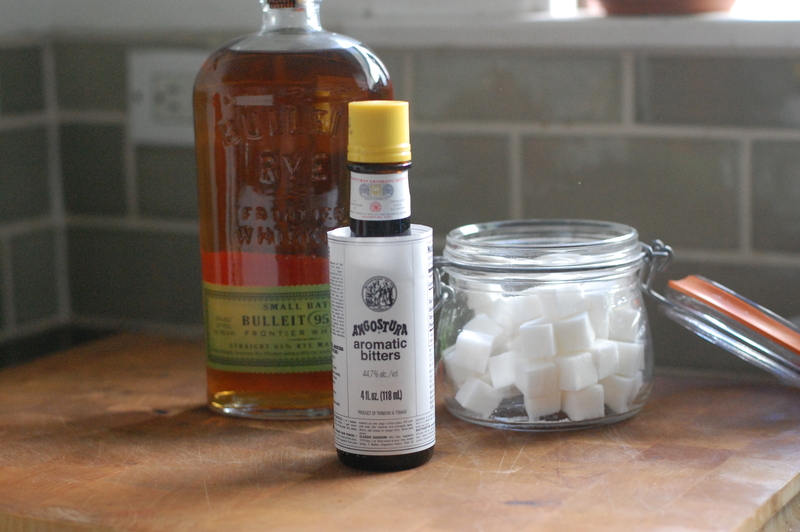 You can also use a little spoonful of loose sugar, but sugar cubes are classier. Also, you can garnish this, but don’t go nuts. If you have good ingredients you don’t need all those orange slices and cherries that you sometimes see at bars. 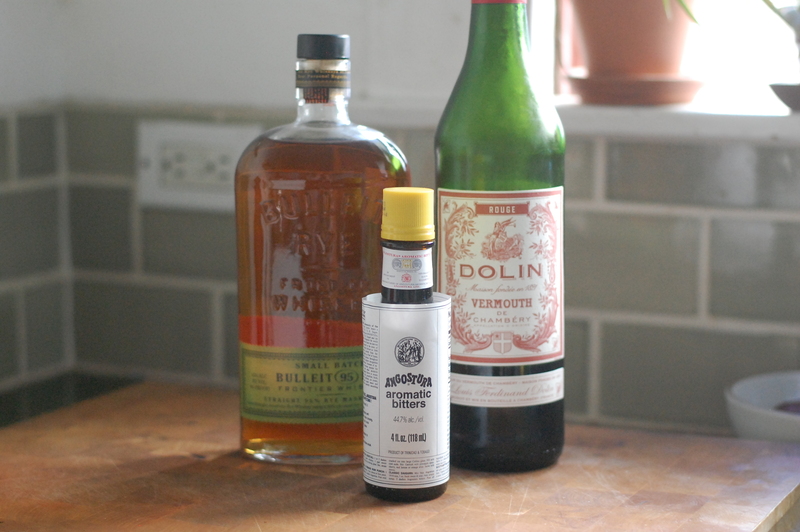 … a Manhattan, which is rye + Angostura Bitters + Vermouth. Stir 2 oz rye, 1 oz vermouth, and 2 dashes bitters with some ice and strain into a glass. This is great with a maraschino cherry, especially Luxardo. …a Sazerac! My favorite. A Sazerac is rye + sugar cube + Angostura bitters + Peychaud’s bitters + Absinthe. Rinse a glass with a barspoon or so of the absinthe. In a separate glass, soak the sugar cube with 3 dashes of Peychaud’s bitters and 1 dash of Angostura bitters. Add 2 oz rye and ice, then stir. Strain into the absinthe-rinsed glass. …the Rattlesnake. You need rye + lemon juice + simple syrup* + absinthe + egg white. Rinse a glass with a barspoon or so of absinthe. Shake 2 oz rye, 1 oz lemon juice, 3/4 oz simple syrup, and a fresh egg white with ice and strain into the absinthe-rinsed glass. 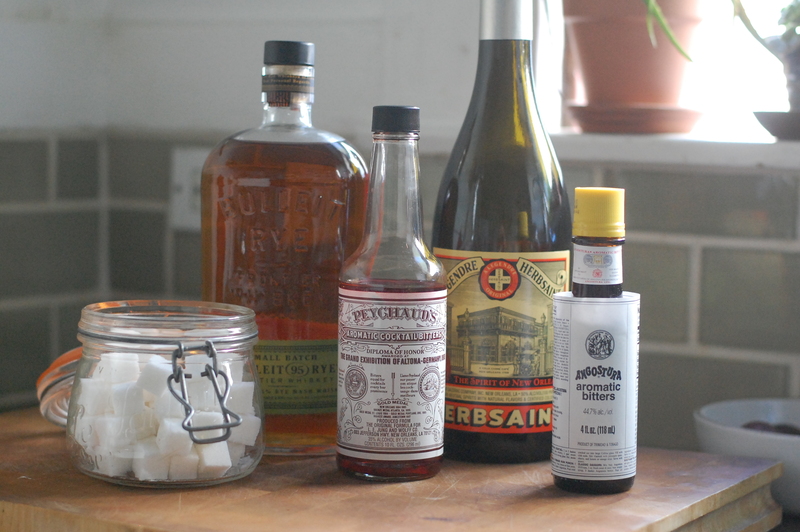 To recap: for a basic rye-based bar, you need rye, sweet vermouth, absinthe, Angostura bitters, and Peychaud’s bitters, plus a couple of other easy things like sugar cubes, simple syrup, lemons, mint, and egg whites. With these ingredients, you can make a Whiskey Smash, Old Fashioned, Manhattan, Sazerac, and Rattlesnake. While these may not be the most advanced rye cocktails out there, for less than $100 you can impress your friends with a pretty solid repertoire of drinks coming from your super efficient and minimalist home bar. *Simple syrup is simply equal parts sugar and water, simmered until the sugar dissolves, and cooled.